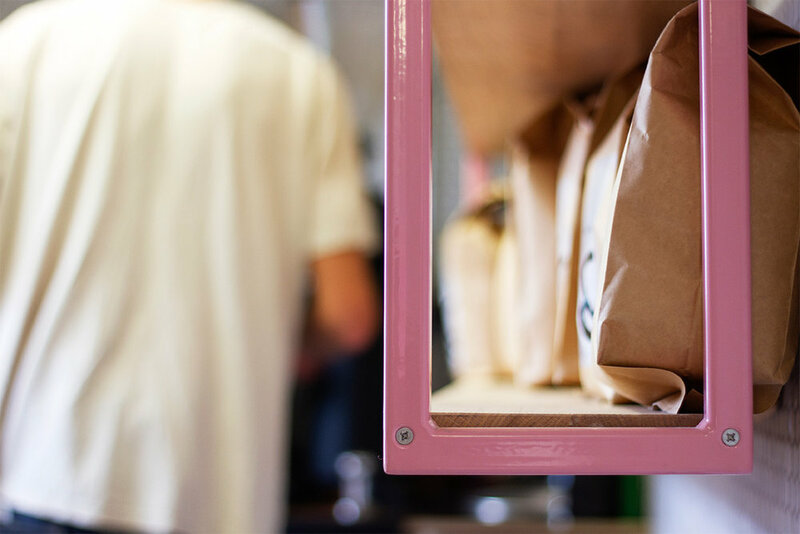 Yallah Coffee Roasters are a speciality coffee roasters based in Falmouth, Cornwall. 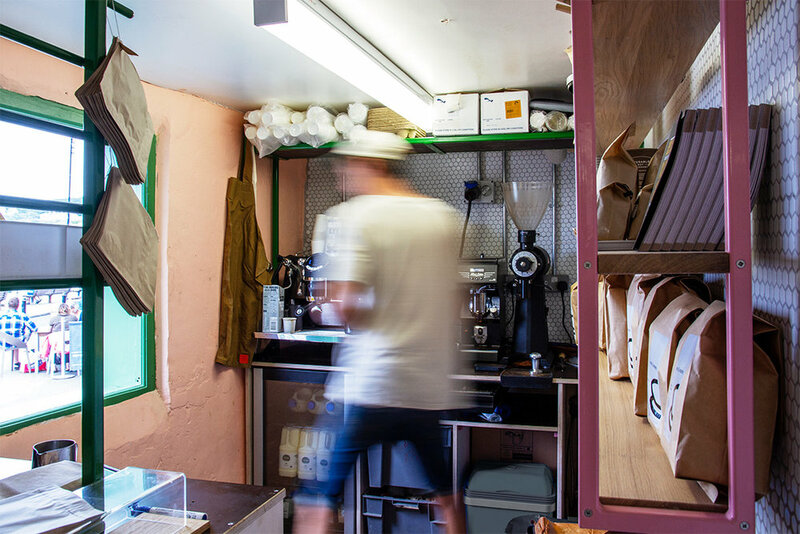 Their first retail site is a waterfront kiosk in St Ives, Cornwall, serving coffee, tea and doughnuts through a serving hatch onto the busy harbourside. The small and odd-shaped kiosk required a complete refit. We worked with Nick at NPW bespoke to design a coffee machine and sink unit, a till stand/doughnut rack, a floating shelving unit and a new serving hatch with removable serving shelf.